What goes better with pizza than a giant cookie? 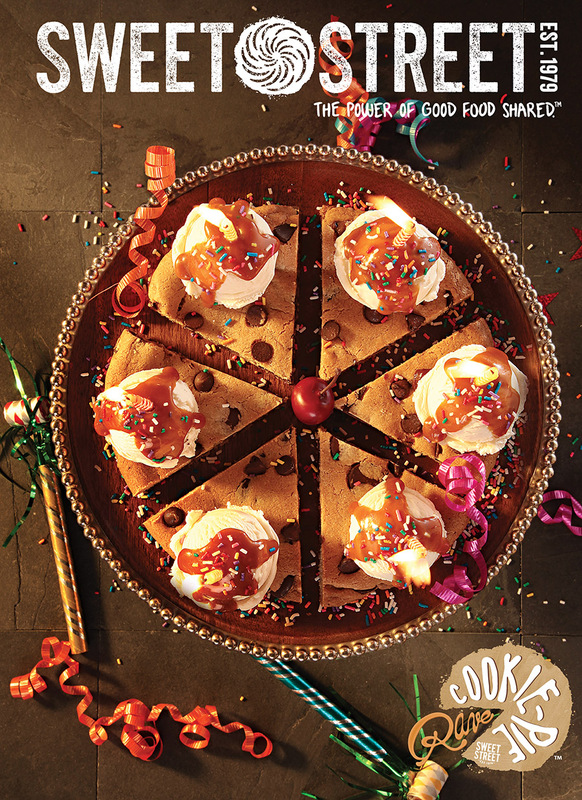 This brochure is as fun as the Cookie-Pie Raves™ are to eat. Flip through it below and see for yourself. With this launch, we wanted to create a custom logo for clients to use on their menus. I took the shape of the Sweet Street medallion logo and cut a slice out of it like a piece of pie. I drew "rave" by hand and made it look like chocolate and caramel coming out of the cookie to represent the two original flavors. Click the image to view full brochure.